Johnson & Johnson 70895 Listerine Mouth rinse, Original, 3.2oz, Pack of 24. Original. 3.2Oz. 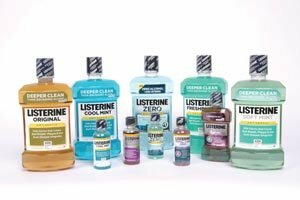 Pack of 24. . . Johnson & Johnson 70895 Listerine Mouth rinse, original, 3.2 oz. (Pack of 24). 70895. Country of Origin : United States.